Frank Orth & Associates has been providing scientific support personnel to the Northwest Fisheries Science Center of NOAA since the mid-nineties. Our office is located in Kirkland, WA and the professionals work out of various facilities associated with NWFSC located in Washington and Oregon but most are located in the Montlake facility in Seattle, WA. The Northwest Fisheries Science Center (NWFSC) is the research arm of the Pacific Northwest NMFS Regional Office and is charged with protecting, managing, preserving, and wise utilization of the Northwest Region’s marine and anadromous resources. The NWFSC studies living marine resources (e.g., salmon, groundfish, and killer whales) and their habitats in the Northeast Pacific Ocean-primarily off the coasts of Washington and Oregon and in freshwater rivers and streams in Washington, Oregon, Idaho, and Montana. The Center seeks to better understand living marine resources and their ecosystems to assist resource managers in making sound decisions that build sustainable fisheries, recover endangered and threatened species, and sustain healthy coasts. Currently, the NWFSC is composed of the Office of the Science Director and its six Divisions (Conservation Biology, Environmental Conservation, Fish Ecology, Resource Enhancement and Utilization Technologies, Fisheries Resource Analysis, and Monitoring, and Operations, Management & Information). The Center's 300 scientists and staff conduct research in 5 primary areas: 1) status of stocks; 2) human-caused stress/risks; 3) ecosystem and climate characteristics; 4) recovery and rebuilding species; and 5) innovation and technology. Generally speaking, programs administered by the divisions focus on narrower areas of research within a division’s specialty. 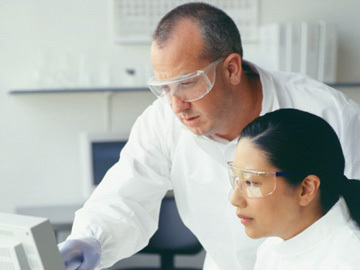 Researchers work in teams within these programs on various research projects and studies. collaborative programs are conducted in partnership with other divisions or organizations, i.e. The Cumulative Risk Initiative.